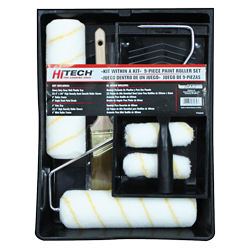 World and Main carries a full assortment of paint tools including paint brushes, paint rollers, painting kits and accessories, meeting every application and retail price point. With programs, special packs and promotional packs, World and Main has an unsurpassed line of paint tools. 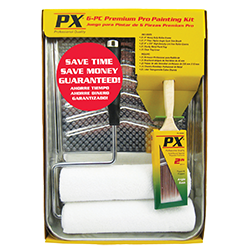 PX® professional quality paint brushes combine industry leading technology and features that are an outstanding value to every serious painter. PX® brushes feature 100% solid round tapered (polyester and nylon) filaments, tipped and flagged for top performance. 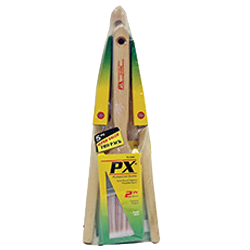 All PX® brushes are fully stocked, have stainless steel square edge ferrules and are set in epoxy. Each handle is hand crafted with smooth sanded natural hardwood for added working comfort. 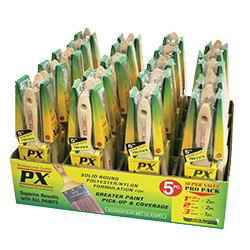 PX® brushes are formulated to work best with today's low VOC paints and stains. HI-TECH® brushes are perfect for every do-it-yourselfer. 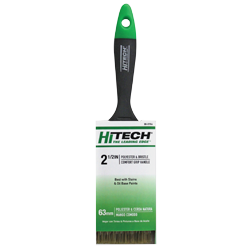 The HI-TECH® series features a polyester mixture containing solid round tapered (SRT) filaments. They are more fully stocked than competitor's mid-price-point comparable brushes and provide maximum coverage per stroke. 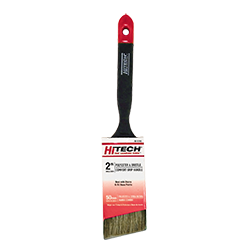 The comfortable co-injected molded soft grip handle provides the everyday painter the comfort they need to get the job done. World and Main offers a full line of roller covers including specialty roller covers for sealants, adhesives, high viscosity materials and epoxies in addition to value driven multi-packs of roller covers at all retail price points. 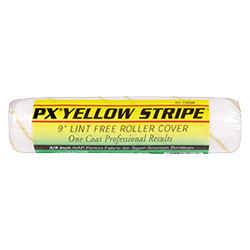 PX® professional quality microfiber and White Diamond® roller covers are manufactured with the finest quality high-density lint free fabrics that maximize paint pick-up, release and coverage. PX® roller covers are manufactured on sturdy double wall cores and bonded using Thermocore® technology. 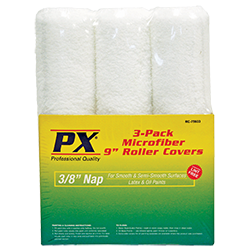 Using PX® roller covers saves the painter time and money. 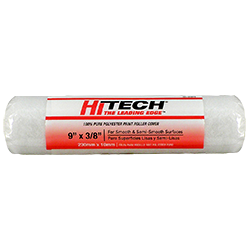 HI-TECH® roller covers are the DIY-ers preferred roller cover with high density polyester fabric that leaves a great finish and offers superb value. 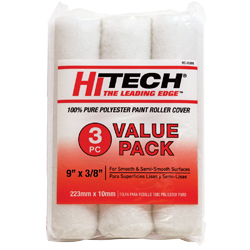 HI-TECH® roller covers are manufactured on a sturdy polypropylene core to maximize durability. World and Main manufactures promotional PX®, HI-TECH®, general purpose and specialty paint kits across all retail price points and degrees of quality in retail ready display boxes. Each kit is designed to make every project easier by combining components and adding convenience, bringing a tremendous value to the end user.